It is funny remembering all the hurdles we faced in our early years with him, and thinking about how he is today. The initial 18 months (the time-frame covered in his book) were certainly interesting for me, in that I experienced first hand his “lunge and bark” routine. Shortly after that I was made aware of his “startle response” . I “startled” him, and his “response” was to leave two sets of claw marks down my chest. Things of course did get better! 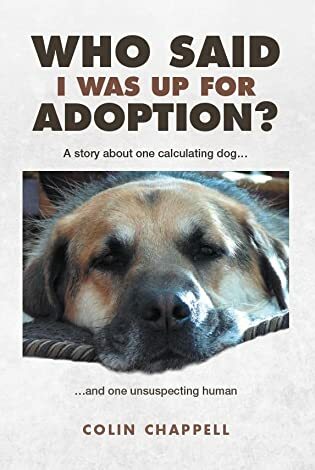 Ray’s story “Who Said I was up for Adoption?” is available in eBook, paperback and hard cover formats, and can be purchased direct from the Friesen Press Bookstore, or from Amazon/Kindle, Indigo/Chapters, Nook, Kobo, iTunes, Goodreads and other on-line book retailers. I apologize for asking it here, but: “Do you have a contact page?” I would like to ask you something else. BOL! BOL! And the book’s all about me (and, to a much lesser degree, about “him”!) BOL! Ray.